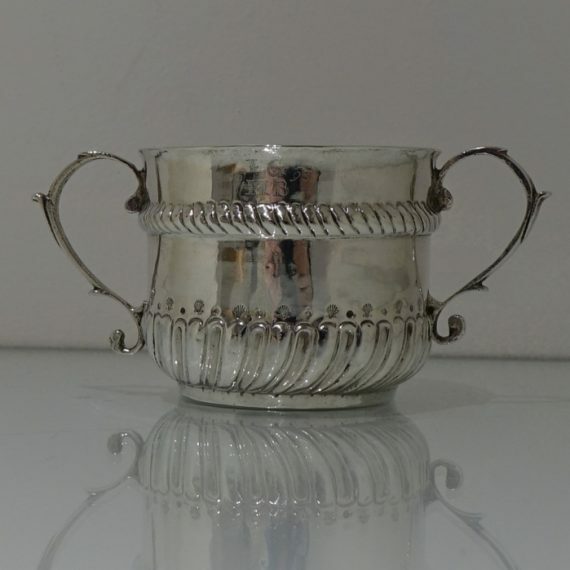 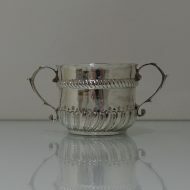 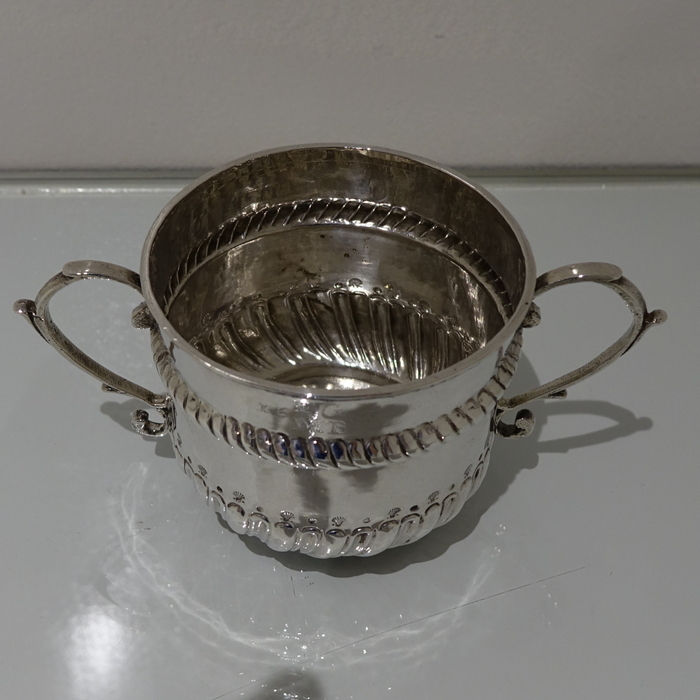 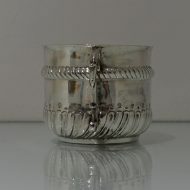 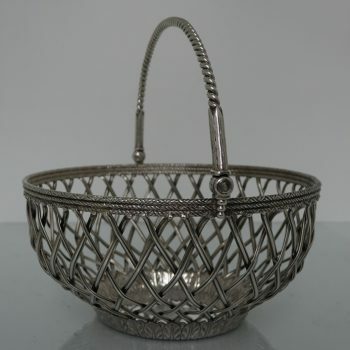 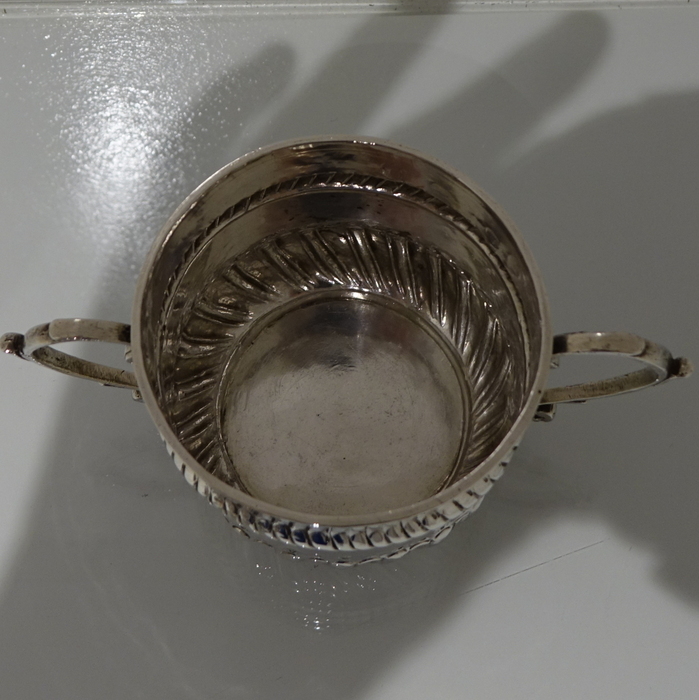 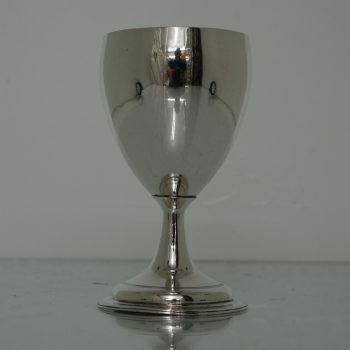 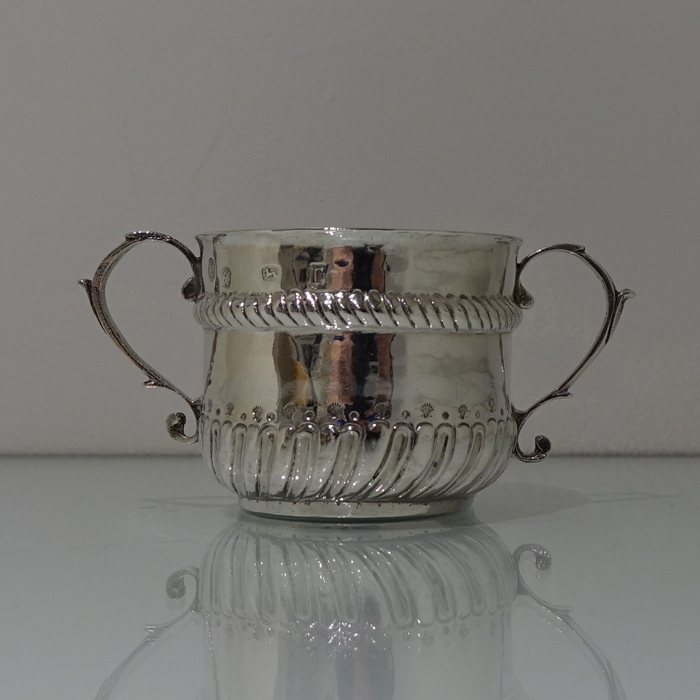 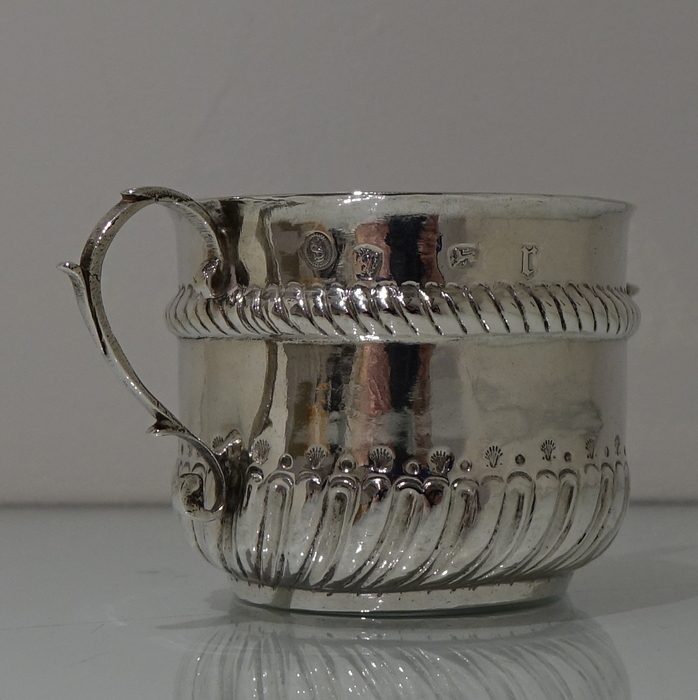 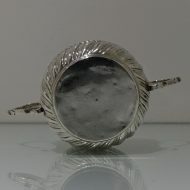 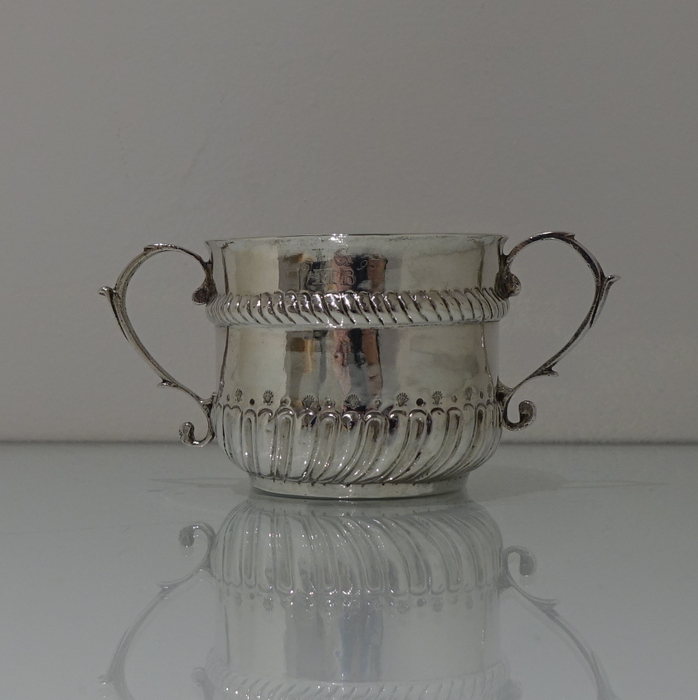 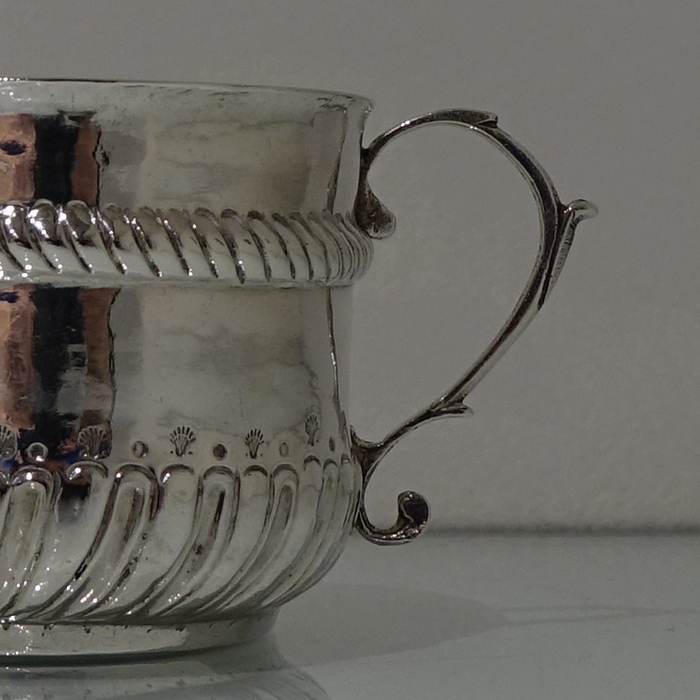 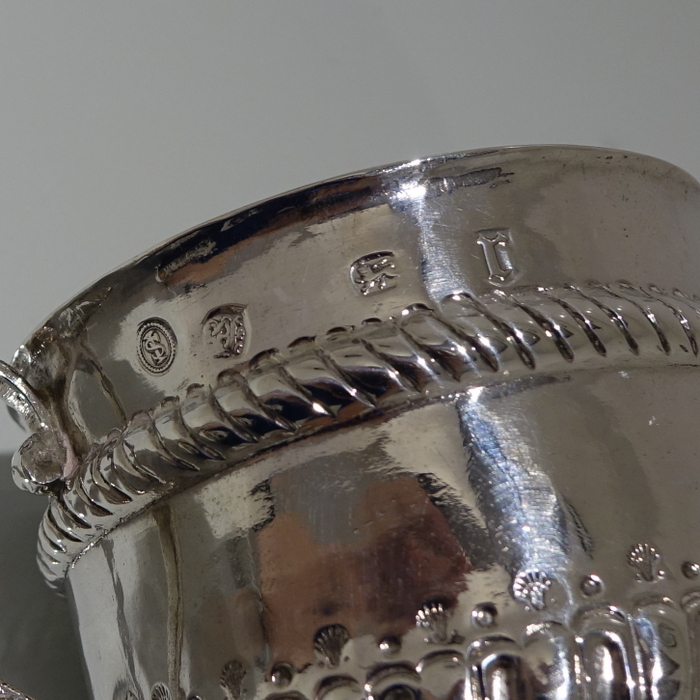 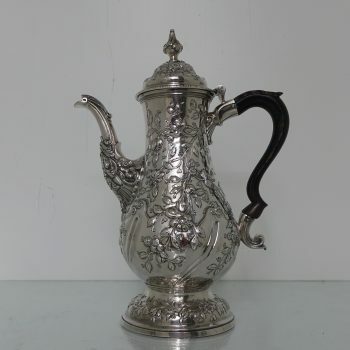 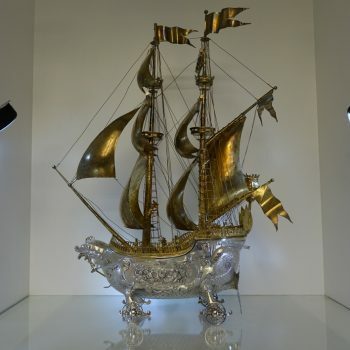 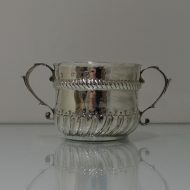 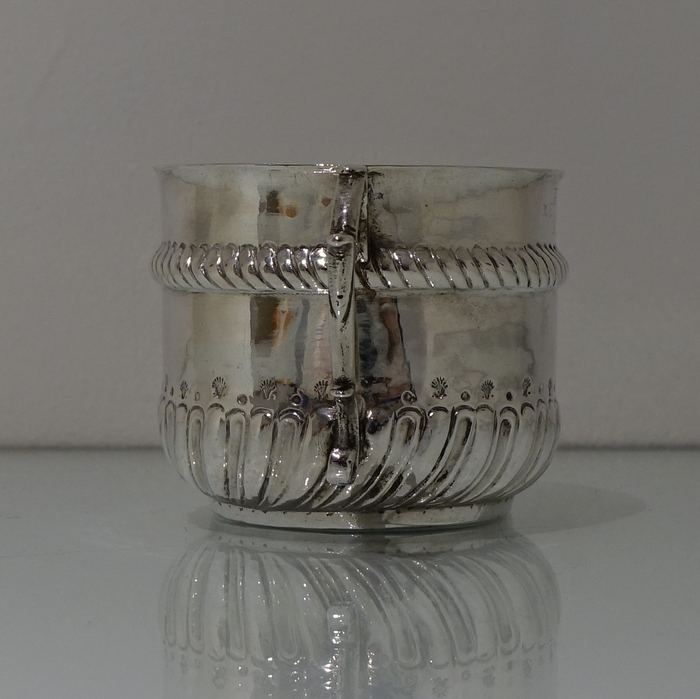 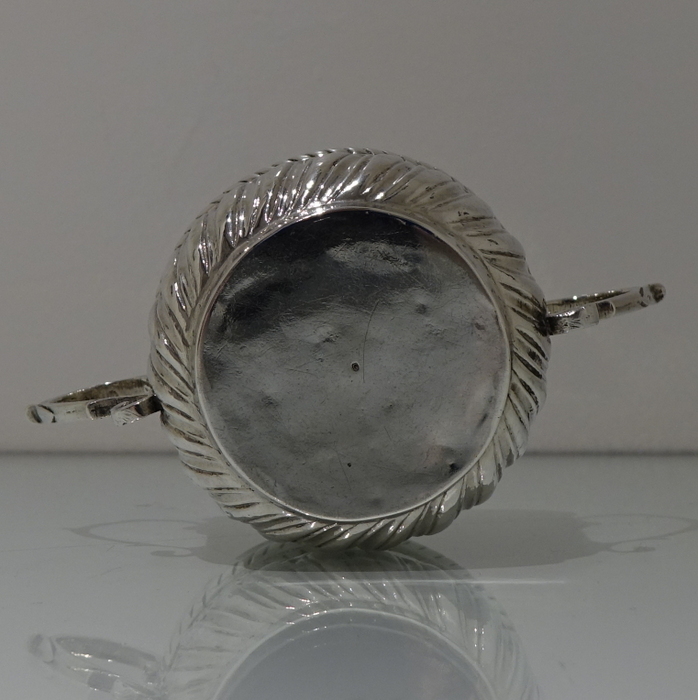 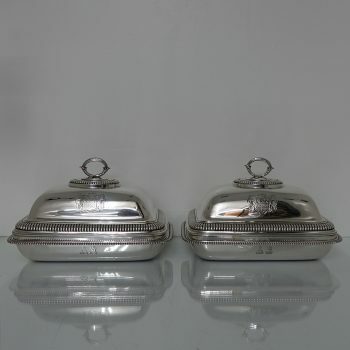 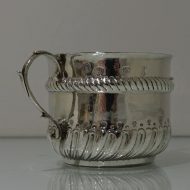 A rare and highly collectable William and Mary porringer. A rare and highly collectable William and Mary porringer with elegant swirl fluting for decoration to the lower section of the bowl and stylish scroll handles either side. 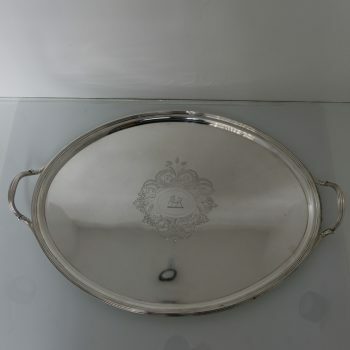 The upper section has an elegant hand chased gadroon style gallery border for highlights.